For those who follow the competitive League of Legends scene, the World Championship is seen as the pinnacle, the promised land, a place where the best from around the globe face off in a festival rich in e-Sports goodness. 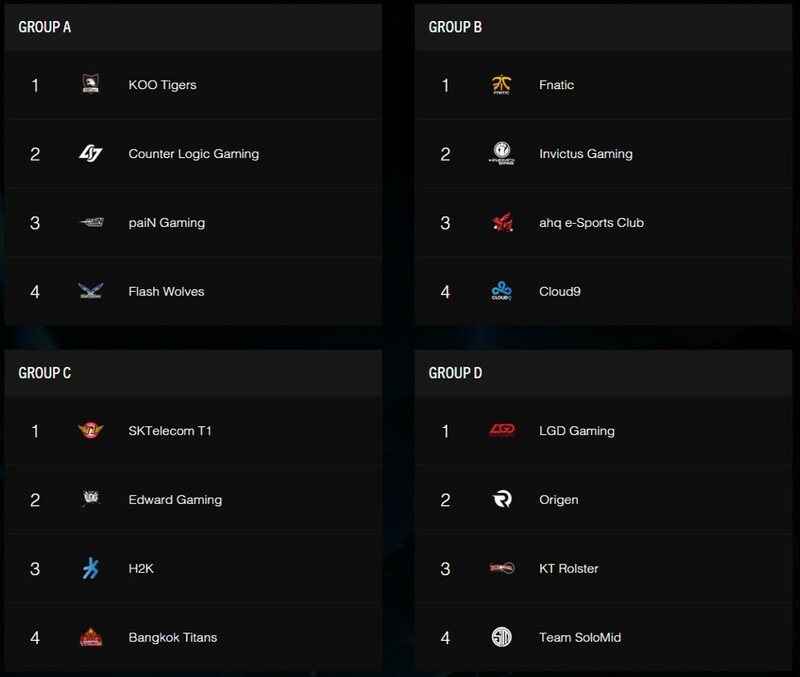 With so many top teams competing, predictions run riot as to who will be crowned champions. The NUEL staff are no exception and with Riot’s Worlds Pick’em competition things are hotting up. The emergence of a staff leaderboard with the promise of skins for the winner paid for by the losers has meant it’s not just pride that’s on the line. While we lack the foresight of Paul the Octopus (may he rest in peace) we can still dream. It is in this spirit that I caught up with the rest of the NUEL to discuss their predictions for Worlds. First was NUEL’s Head of Written Content, Aezure. NA will bomb. Korea is overrated. Europe is underrated, how much by is hard to say. If you take out FNC, I would say Europe’s strength is similar to in the spring split. But FNC have ascended to a whole new level this split. People are saying that they might not top their group but I don’t see that happening at all unless AHQ become a world-beater team. China will win the whole tournament. 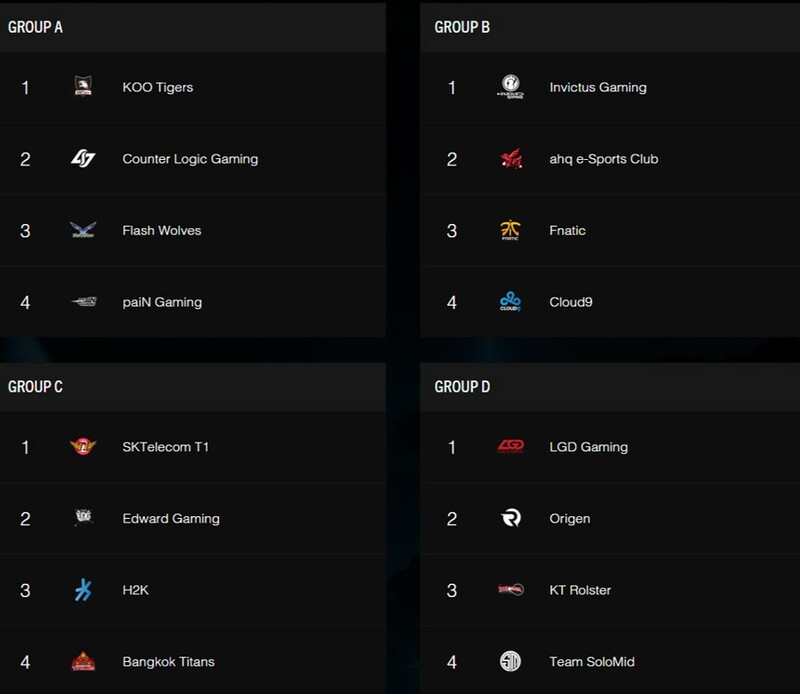 Both LGD and EDG are tier 1 teams and only SKT or FNC have a chance to beat them. .
EDG will smash SKT and top Group C, UNLESS their slump comes back/continues (unlikely but possible). 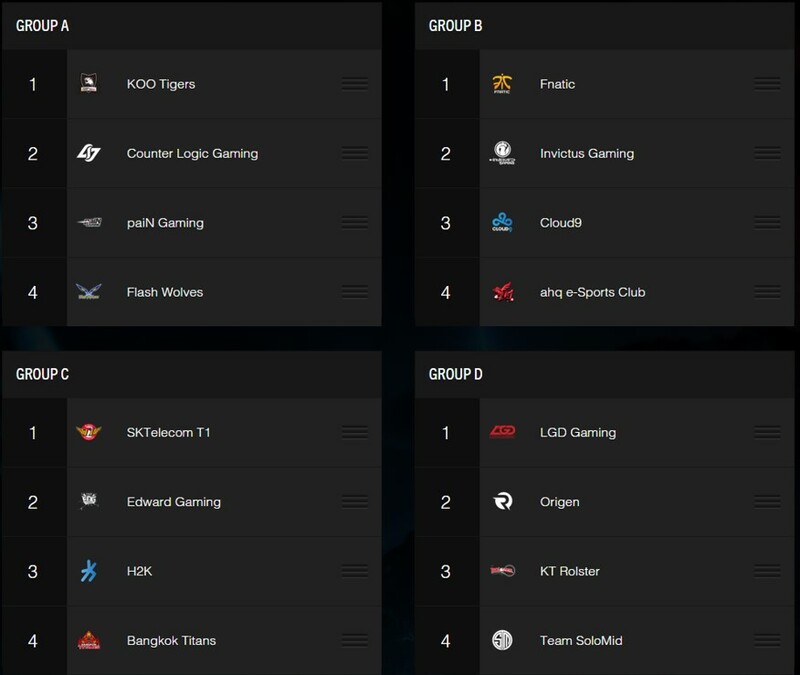 LGD will top Group D with ease. 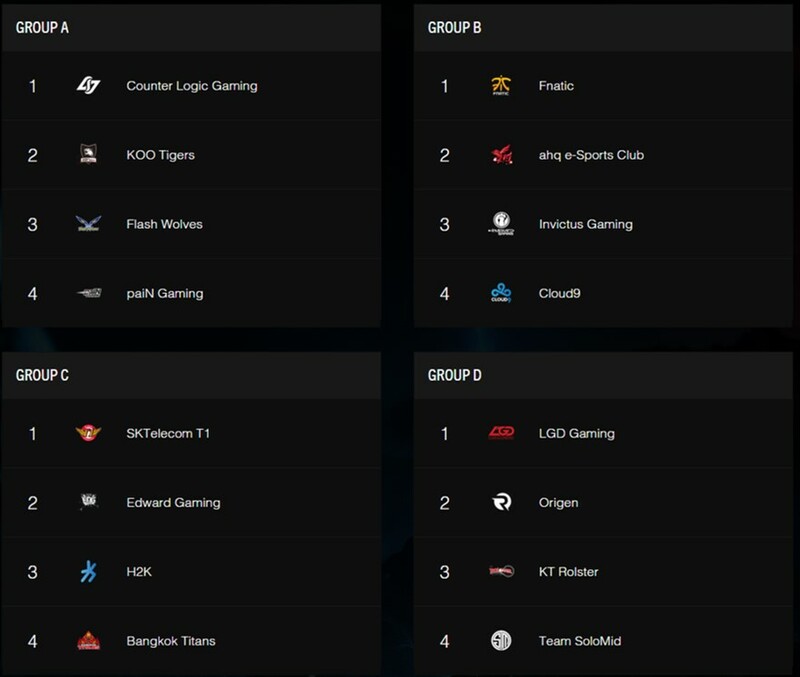 OG vs KT is the closest matchup in groups. I actually think it’s exactly 50/50 but in those cases I’ll always pick EU. LGD will win the tournament. These were strong words from Aezure, but graphics man and all round top bloke Ruihai had a different opinion. With Ruihai backing SKT to take home the spoils we talked to one of our celebrated casters, play by play master caster Tridd, who took a colourful approach to what he thought would happen. #1 CLG: Strong performance against TSM at MSG, but will not progress further beyond the quarter- finals. It’s an incredibly easy group. #2 KOO: Korean 2nd Seed, have choked on the international stage at IEM Katowice, but still have strong form in LCK. #3 Flash Wolves: Strong LMS team, but their top laner (Steak) is not up to scratch in a meta that relies on carrying from the top lane and co-ordinated TP ganks. #1 Fnatic: Clear western favourite of the tournament coming off of a record-breaking split. #2 AHQ: This is more about IG than AHQ. IG can beat AHQ, but they haven’t been great. #3 IG: This team is reliant on whether one of the best players in the world (Kakao) can get going. If he steamrolls the enemy jungler, it’s GG. #2 EDG: Shaky performance at the end of the LPL split, got through based off of Circuit points. Still a strong team, just not a SKT defeating team. Plus Pawn is in the hospital again. #4 Bangkok Titans: Thanks for coming guys…. #2 Origen: Origen and KT have similar styles of play, IMO could go either way. But EU Bias. 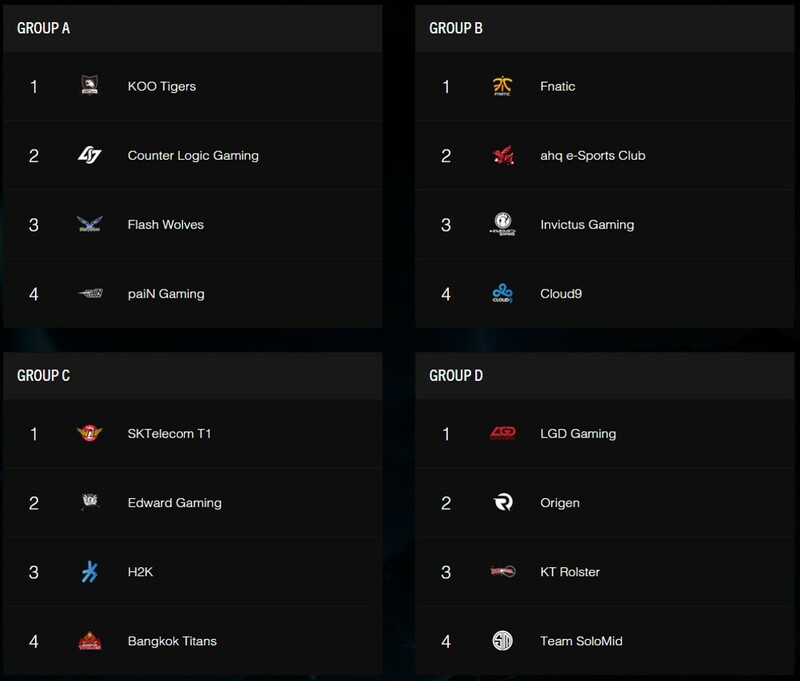 #3 KT: Korean 3rd seed, some amazing players in there and can climb higher in the group stage. Tridd seemed solid in his convictions and the chance of a Teemo enthusiast having even more reason to play everyone’s most hated yordle spurred others into action. Fellow caster Dowsey was having none of it. Dowsey claimed the title of only member of staff to back Cloud 9 to come higher than 4th in their group drawing strange looks from the rest of the team. But no matter, up next was Potshot. It wouldn’t be written content without more of the written content team involved so I asked interview specialist Oska what his thoughts were on competition. With Oska rating SKT’s chances of winning, I turned to tournament admin extraordinaire Addyal to see what complex views he could offer up to the gods of League. Skin for Win: “The CLG Vayne skin that will certainly be coming out”. I thanked Addyal for his time and left with much to ponder, my mind significantly broadened by his deep insights into the international League of Legends scene. Thankfully Reverbe came along to rescue me from my enlightened state. As I looked down the staff leaderboard, I noticed a name not normally associated with the League side of the NUEL. Enter Trim, our multi-talented Hearthstone caster and League of Legends enthusiast. Skin for Win: “I want the [Championship] Riven skin”. Well, Trim is certainly taking it seriously. Backing all of his predictions with confidence he’s aiming for the top prize in Riot’s Pick’ems. Now, I’m not one to turn down a challenge, so I had to get myself involved. Here are my predictions for the World Championship. I would love for paiN to do well, but it doesn’t seem like it will happen. I think they could take a game or two off the others, but I’m not sure if they could do more. 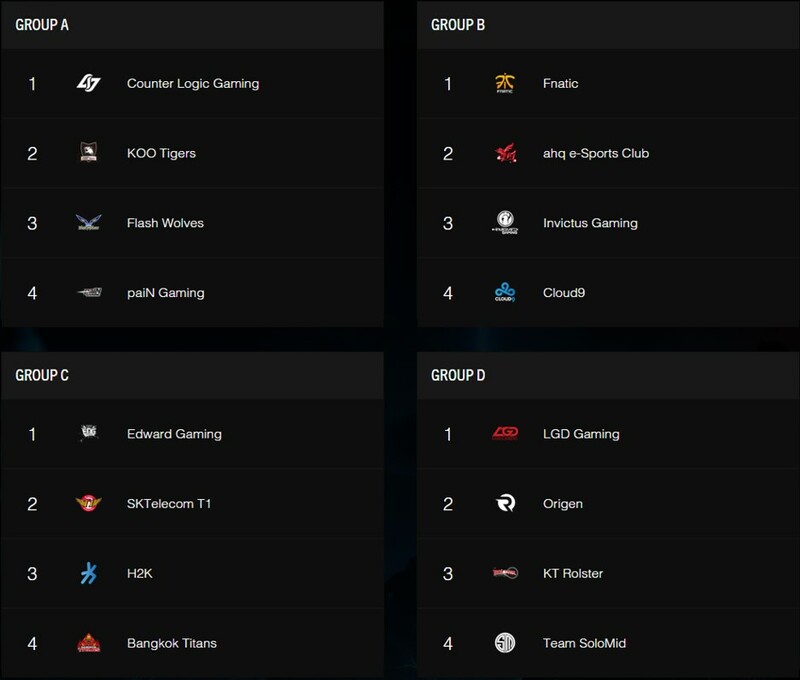 I don’t rate the Flash Wolves highly and back CLG and the KOO Tigers to get out of the group. I wouldn’t say any of the teams are strong contenders for the title. 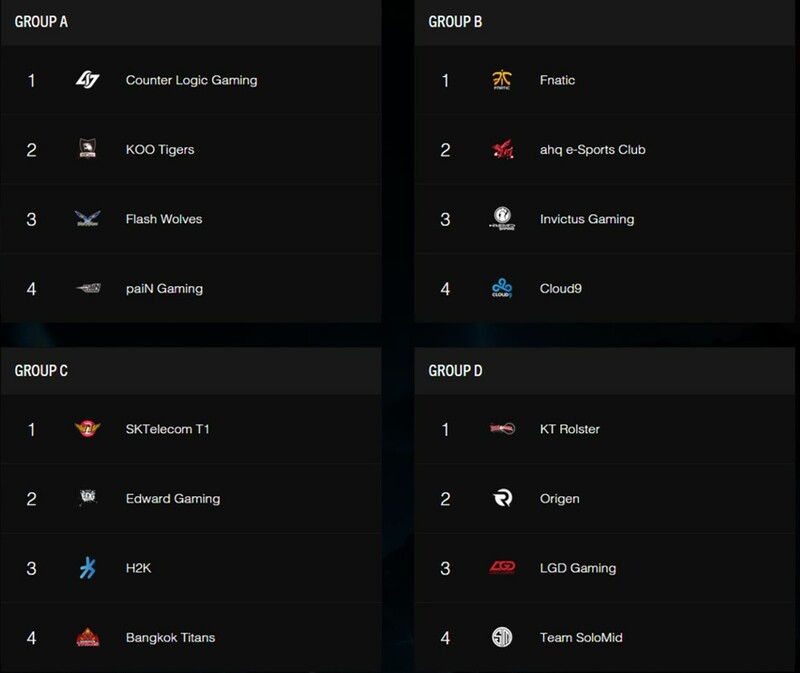 Fnatic, AHQ and Invictus have the potential to fill the top three spaces of the group in any order. However, I’m backing AHQ to come up trumps. The team finally isn’t just Westdoor and friends. I also see Fnatic being able to deal with Invictus. 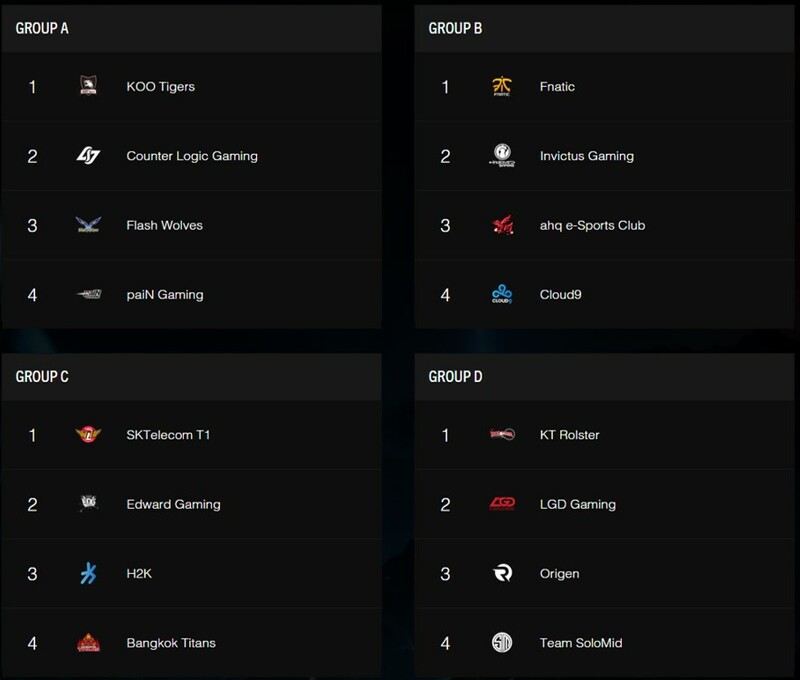 IG have the potential to be one of the top teams in the competition, but also one of the worst. 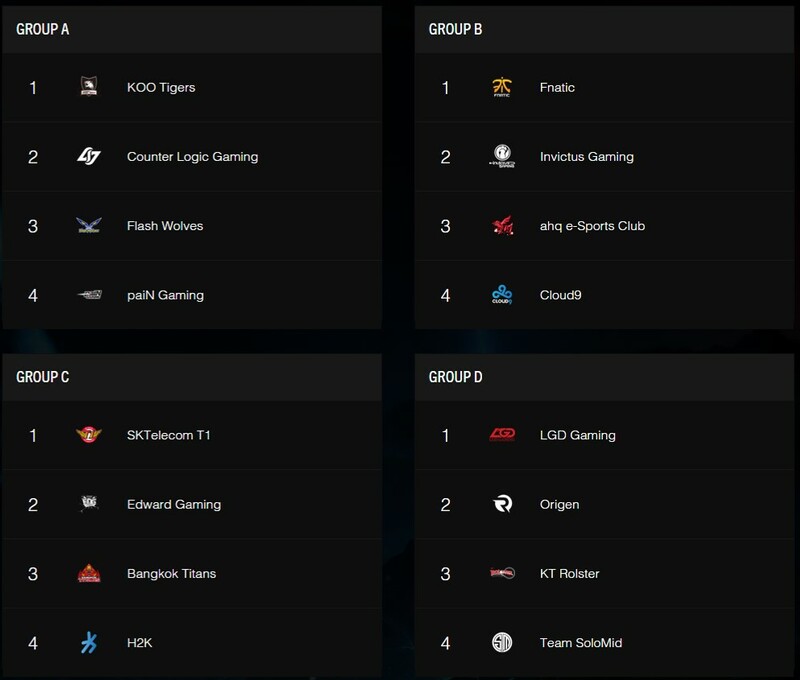 Kakao and Rookie are top quality but I feel like Fnatic is better across the board. Cloud 9 don’t have a hope. 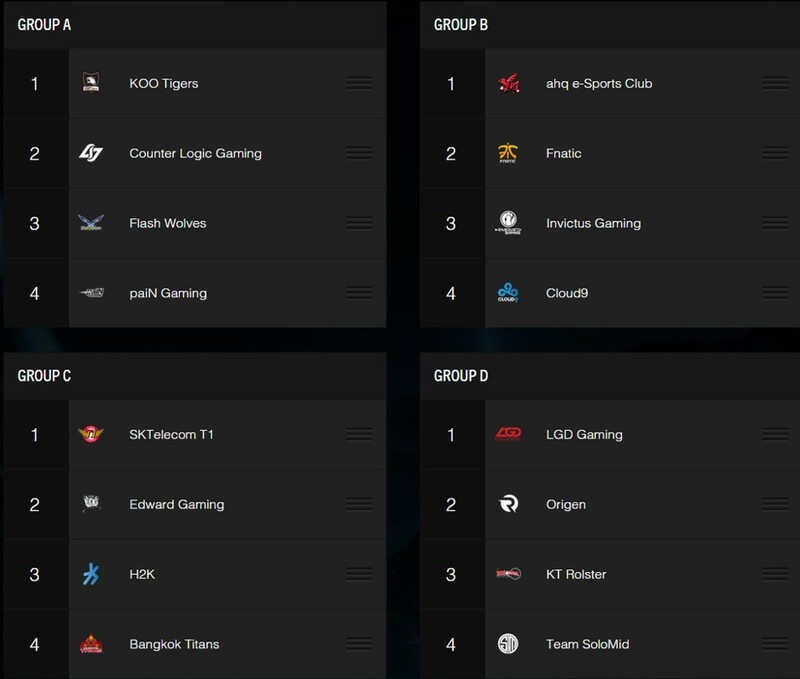 I think I can put Bangkok Titans and H2K 4th and 3rd respectively. I don’t think either are anywhere near the standard of SKT or EDG. In fact, I’d see these teams meeting in the final. They’re miles ahead of anyone else maybe bar LGD. SKT will just be able to take top spot. All teams have potential to fill every single place. However, this doesn’t look like TSM’s day. I would love a fantastic farewell for Dyrus but on form it just won’t be happening. Meanwhile, KT Rolster are too inconsistent. I back LGD over Origen simply because the former are more proactive and aggressive while also being clinical. They’re China’s first seed for a reason. Skin for Win: Surfer Singed is love, Surfer Singed is life. Disagree with us? Let us know in the comments. In the meantime, see you at Worlds!